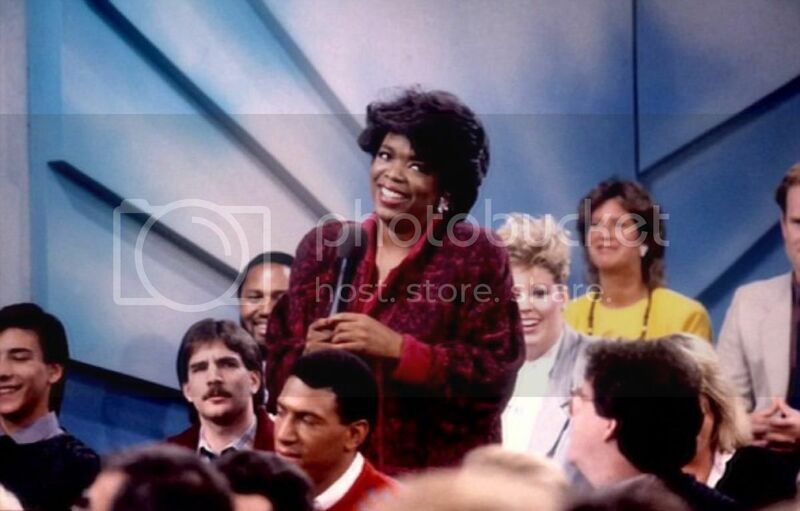 On September 8, 1986, 32-year-old Oprah Winfrey debuted her nationally syndicated daytime talk show. The Oprah Winfrey Show went on to run for 25 years, and during that time Ms. Winfrey became one of the most influential women in entertainment. Before the show's debut, Oprah was not a complete unknown on the national stage. That same year she secured an Oscar-nomination for her role as Sofia in The Color Purple. But the talk show deal was months before the film's premiere. She signed a deal to expand her local morning show with a $1 million signing bonus just two years after its launch. A promo for the show's premiere teases a typically formatted talk show that explored inoffensive topics like relationships. She often went up against veteran talk show host Phil Donahue whom the New York Daily News referred to as her "archrival"
At the show's 20th anniversary, Ms. Winfrey reflected on her first day as a national tv host. She read from her journal an excerpt that said, "Maybe going national was to help me realize that I have important work or that this work is important." In a December 1986 interview with Mike Wallace of 60 Minutes, Oprah explains that her hopes for her life are not wrapped up in the success of the show. "I think we are defined by the way we treat ourselves and the way we treat other people, she said. "It would be wonderful to be acclaimed as this talk show host whose made it. That would be wonderful, but if that doesn't happen there are other important things in my life." It seems she's achieved more than she could have imagined. During the show's run, 4,500 episodes aired. The show won 15 Daytime Emmys. She took home 7 as host. That number likely would have been much higher, but in 1999, she removed herself from consideration as host after being presented a lifetime achievement award. The last episode of the Oprah Winfrey Show aired May 25, 2011. She now runs the Oprah Winfrey Network that's experiencing record ratings with its newest shows.